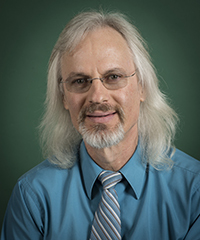 Dr. Steve Waters has taught at PUC for 35 years, many of which he served as chair for the department of mathematics. We asked Dr. Waters to share some of his thoughts about studying mathematics, and the advantages of studying it at PUC. This is what he had to say. Should you study mathematics in college? The answer is a definite “yes!” if any of the following descriptions apply to you. You are fascinated by patterns—seeing how things fit together and discovering connections between seemingly very different things. You love knowing why, not just how. You see beauty in carefully crafted and refined ideas. You enjoy finding new perspectives that change apparently hard problems into easy ones. You find satisfaction in sticking with a hard problem until the thrill of a solution presents itself. But what can you do with a mathematics degree? The first thing that comes to mind for many people when asked this question is working as a teacher in elementary schools, high schools, and colleges. While it is true that there is a great demand for qualified mathematics teachers at all levels, and that these can be very rewarding careers, only a small fraction of people with mathematical training actually work in the teaching profession. Qualified mathematical thinkers are sought throughout government and industry to help teams make sense of data, design new products, create forecasts—work on anything involving pattern recognition and analysis. These teams often involve a fusion of computer science, engineering, psychology, marketing, communication, and many other areas, so mathematicians are always learning new things and exploring new ideas. So what do mathematicians actually do? It’s worth noting very little in the description has to do with “arithmetic.” Mathematical studies open up a whole world of critical and creative thought far beyond the ideas of elementary-school number manipulation. 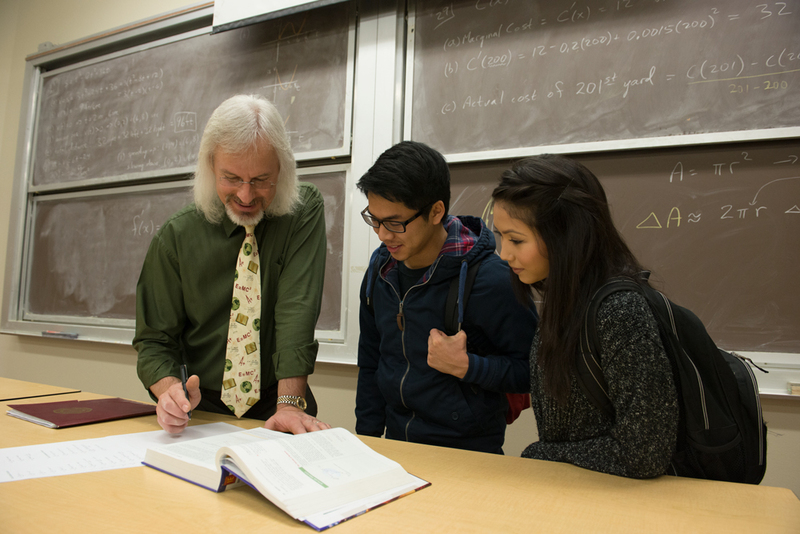 Knowing that mathematics provides a way to work with fascinating ideas and people, make a real difference in the world, and get paid for it!, why should you study the subject at Pacific Union College? The short answer is PUC is a Seventh-day Adventist college with mathematics teachers who are dedicated to your success. Your classes will not be taught by graduate students, but by professors whose primary focus is on teaching. In addition to excellent classes, you will also have opportunities to do research with your professors—many of our students have presented work at national and international conferences, and had papers published in prestigious journals. The department of mathematics, along with physics & engineering, works hard to create a family feel that welcomes all students, regardless of their backgrounds. Your teachers will quickly become your friends and mentors as you work and talk with them in their offices, as well as in the classrooms, across campus, and in their homes. Perhaps best of all, PUC gives you the opportunity to commune with God’s nature, with hundreds of acres of forest preserve filled with hiking and biking trails. It is truly a place “where nature and revelation unite in education.” We’re ready to welcome you into the family. To learn more about studying math at PUC, visit our Admissions website or call (800) 862-7080 to talk with an enrollment counselor today! 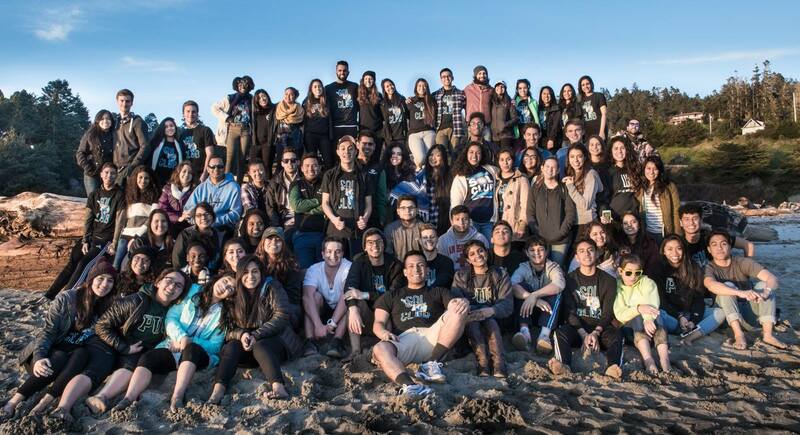 With the close of another wonderful year here at PUC, we are taking a moment to reflect back on some of the many great moments and memories of spring quarter. 💚💛 #Repost @mvpdelarmente ・・・ I absolutely loved my four years here. PUC is my HOME. We also encourage you to reach out to one of our enrollment counselors if you have questions about PUC. Email enroll@puc.edu or call (800) 862-7080, option 2 for more information. 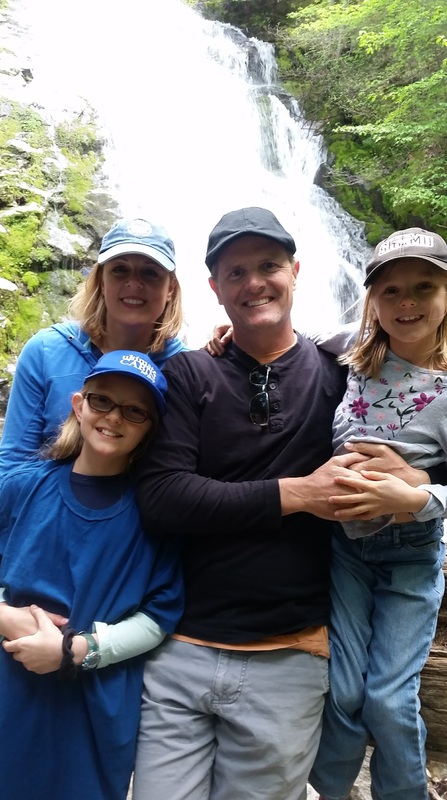 We asked Matthew Gheen, ’98, who currently works as an airline pilot for United Airlines, to share about his experience at PUC and his journey from tragedy to success. I started college in August 1992, at Shasta College in Redding, Calif. That same evening, a large forest fire started and burned down our family home, along with almost 400 hundred other homes. I did not return to class the next day and instead, over the course of the next three months, helped my family pick up the pieces and get back on their feet. It was during this time, I started to re-think my decision to attend Shasta College. I was invited to visit some friends of mine who were attending PUC. While there, I met Dr. Russell Laird, head of the department of industrial technology and Reinhard Jarschke, the director of the flight school. These conversations changed my decision (they were so convincing) and I decided God wanted me to go to PUC. I signed up right away and started in January 1993. 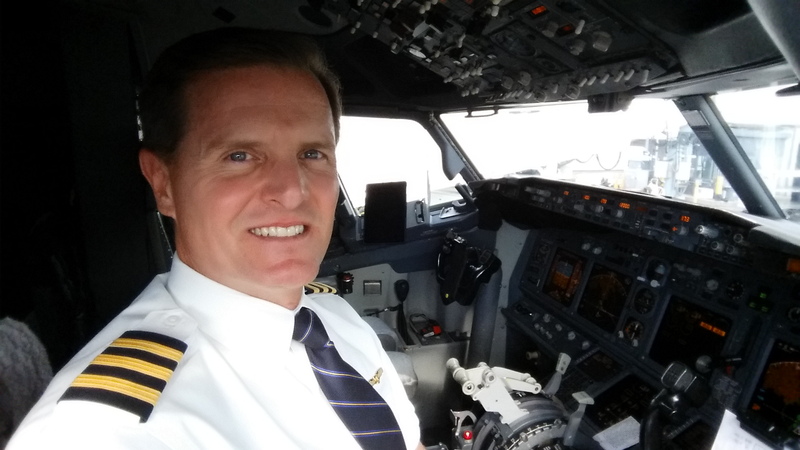 I chose industrial technology and management with an emphasis in aviation as my degree. My experience in construction and mechanical things led me to this degree, but my true passion was with the emphasis in aviation. It was the department of aviation that excited me the most. I wanted to fly for a living. Financially, however, it wasn’t easy. As I look back, I realize God was always there, but I had to work hard, working about 30 hours per week in-between classes, making sure I always had summer jobs, and applying for school loans each year. 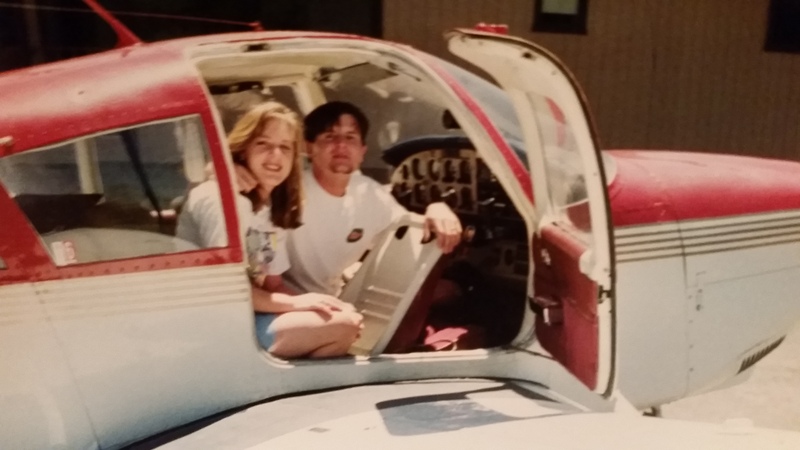 I even had to pause flying for a while to focus on school but was able to resume after four years, in order to complete the classes I needed and graduate with an aviation emphasis. PUC’s foundational emphasis on God allowed me to keep a close relationship with Him while I was there. The opportunities for academic growth and character development are also a big reason why it is such a wonderful school. As I think back, I am most thankful God led me to my wife, Melissa. In October 1993, I went on a PUC Business Club camping trip to Yosemite Valley and expected to hang out with my two close friends that weekend. Melissa and I were in the group that chose to hike Half Dome and I noticed her at the start of the hike. We ended up talking along the way and throughout the remainder of the year, we dated. I found out later that although she is scared of heights, she forced herself to climb the last part up the face of the rock to the top of Half Dome, just to impress me. She still continues to impress me to this day. We are just about to celebrate 21 years of marriage and have two daughters who are excited about attending PUC when the time comes. Matt and his wife Melissa in an airplane at PUC. After college, I started accumulating hours by flight instructing. I then flew freight and had just landed when the 9/11 tragedy rocked the world. This unfortunate event, along with the recession a few years later, brought commercial aviation to its knees. This time period is often referred to as the “lost decade” in the pilot world because there was very little movement for most pilots. I intended, after PUC, to fly for a commercial airline but instead found myself flying for an air ambulance fixed-wing company. This job was extremely rewarding; it brought a chance for me to see the first responders at their best, and to give people, at their most vulnerable point, a fighting chance to live. I believe God lead me to this position and am so grateful to have had this type of experience. I flew air ambulance for seven years. During this time, the regional airlines (the small commercial airline carriers) started to pick up hiring. (The major airlines were still not hiring very much and some still had thousands of pilots on furlough.) In order to be more competitive for the major airlines, I chose to start applying for a regional airline job. Flying at a regional level was going to take a huge financial sacrifice but it would give me some additional experience the major airlines would likely want to see, considering the competitiveness of the industry. We took on a cross country move and was at a regional airline for two years. We then spent a short stint at a low cost carrier and God, to our excitement, landed us a major airline job. In fact, we had multiple offers, multiple doors were opened, and we were faced with a big decision. Truly, a tough but a good position to be in. As we all face our journeys, it is important to realize how our foundation in God is so key. There’s twists and turns along the way, but God always has a plan. God is always there leading. Every time I fly into San Francisco International Airport and we arrive from the north, I am looking down out the window for PUC. On those clear days when I do see the campus on the hill and the little runway in the trees, it brings back such a rush of memories. I had so many great times in the short years I was there. Matt and his beautiful family on a recent family vacation. You can catch Kwuan Guerrero shooting hoops down at the Pacific Auditorium (PUC’s gym), playing Super Smash Bros., or applying literary theory to different texts. 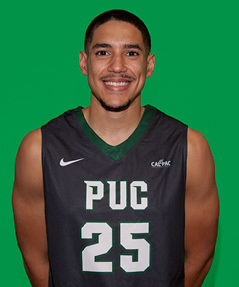 Guerrero, who is graduating this coming weekend with a bachelor’s in English education, began his basketball career at PUC the summer of 2014-2015. His mind was set on two things during his time at the college: The first endeavor he set out to achieve was his degree in English education, and his second goal was to be a powerful force on the Pioneers men’s basketball team. Guerrero, who has received many athletic awards, began his basketball career at the age of 14. He fell in love with the sport and the technicalities behind it, and the team effort and team chemistry that needed to exist to be successful. His God-gifted height of 6”5 also helped make it possible for him to succeed in the sport. During his freshman year in high school at Hawthorne High School in Southern California, he averaged eight points a game. After three years, he transferred to Price High School, where he played his senior year. It was his passion and love for the game that drove him to play at the college level. His basketball career carried on when he entered college. He first played for Fresno City College, where he viewed himself as an “under the radar player.” After playing a couple of seasonal games, Guerrero caught a huge break when Greg Rahn, the men’s basketball coach at PUC, approached him with an offer to play for the Pioneers. After some deliberation and negotiation, Guerrero signed on to the Pioneers basketball team. Although the limelight was yet to be on him, Guerrero worked on his craft, dedicating hours in and out of the gym, going into each workout circuit with intensity and making sure he kept a clean diet. During his senior year at PUC, he had to opportunity to be one of the five starters for the team. Soon, he began to showcase his natural strength playing as a power forward and a center. He began topping the stats, being one of the only players to average the most points, rebounds, and assists in each game. Guerrero helped lead the Pioneers to win the Cal Pac championship in February. One of Guerrero’s greatest memories as a Pioneer is winning the Cal Pac championship. He said, “Experiencing such a moment with my teammates was one of the best feelings.” He is also thankful he was able to mentally grow as an individual and player this year. The week leading up to the championship, Guerrero was named the Cal Pac Player of the Week due to his stats and dedication to the team. He helped lead the Pioneers to victory against UC Merced and Cal Maritime, averaging 15.5 points and 3.5 rebounds while shooting 70.5 percent from the field and 87.5 percent from the free throw line. Guerrero finished that week with a career high of 25 points and five rebounds against the Cal Maritime Keelhaulers. These wins placed the Pioneers in the third seed in the Cal Pac tournament, which they would go on to win. Guerrero became a PUC Pioneer star, but he still remains a genuinely humble individual. He hopes to become a high school English teacher, and he is open to the idea of eventually becoming a college professor. He is also open to coaching for a high school team with the hopes of eventually becoming a head coach of a high school team. In addition to succeeding on the court and in class, Guerrero also succeeded in making PUC his second home, “It’s like I’ve gotten so used to being here at PUC that when I go home, I miss it,” he says. We offer our heartfelt congratulations to Kwuan and all the graduating seniors. We wish each and every one success and God’s richest blessings! PUC. The Holy Hill. Home. On Sept 18, 2010, I left my sunny SoCal home and began the 8-hour trek to Pacific Union College. On June 18, 2017, I will be walking across the stage as an official graduate of this college! 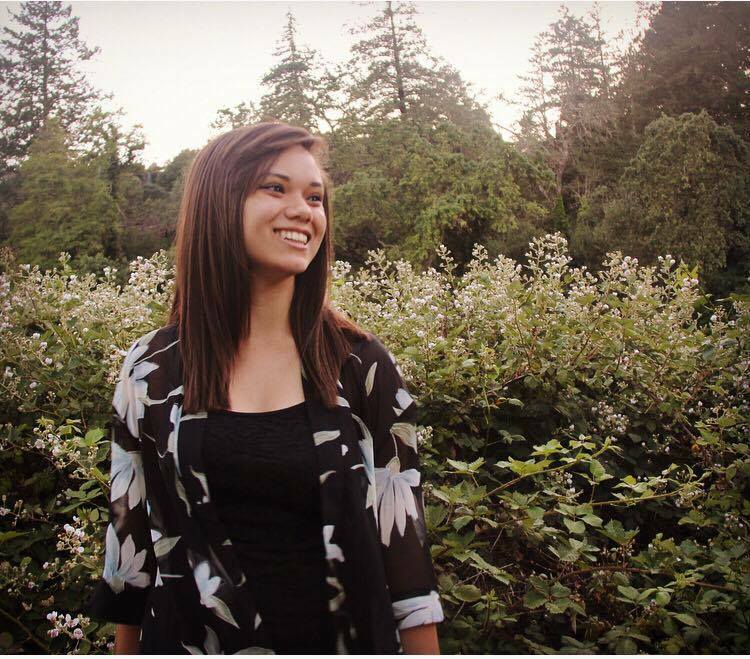 My time at PUC has been a compilation of the best and most challenging years of my life. As I complete my undergraduate career, here is some advice I would like to leave you as a student, prospective student, interested person, or the fourth person reading this, my mom. 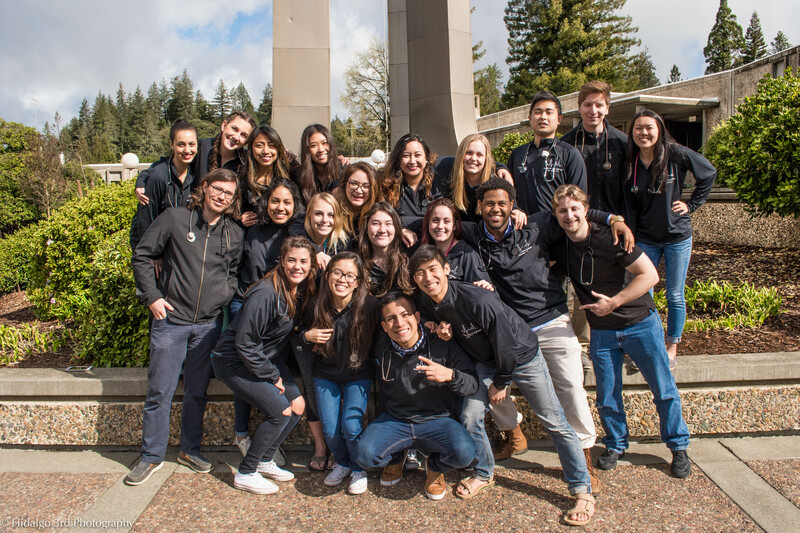 In my time at PUC I have had the great opportunity of getting to know a variety of different people as well as hold a variety of different student leadership positions. This school presented me with an abundance of opportunities to get involved with student life and develop my leadership skills. When I first came here, I didn’t know how to get involved or if I really wanted to. Little by little, professors and fellow students began to ask me if I wanted to help with different events and/or hold different leadership positions. Hesitantly, I said yes and have never looked back. Each opportunity pushed me to get out of my introvert shell to the point where anyone reading this who has come to know me in my time at PUC will be surprised to know I classify myself as an introvert. Say “Yes.” Go and get involved. Whether becoming an officer for one of the many clubs we have on campus, getting a job in a department, or even running for an elected position in Student Association or Senate, you will thank yourself later. The fact we are located in one of the culinary capitals of the world means there are plenty of great places, besides the Dining Commons, to ease your “hAngriness” or your “hAttitude”. You can build your own sandwich at Guigni’s Deli, slurp a delicious milk shake from Gott’s Roadside, or share a bomb.com margherita pizza from Tra Vigne. BUT, being that most of us are on a college student budget, this means you also get to make trips to Safeway and cook your own meals with friends once in awhile. Sometimes this means ramen in your room at 3 a.m., on the floor, while your roommate is up playing WOW (World of Warcraft) and sometimes you channel your inner Gordon Ramsey and make a whole potluck for your friends on Sabbath afternoon. Whatever it may be, I know some of the best memories I have at PUC are mixing ingredients, over a stove and around a table, sharing a meal with my friends. If college is your first time away from home, you may experience one of two things. First, this may be the happiest time of your life as you are now a full-fledged adult and have finally realized you never needed your mom and dad anyway and they were only holding you back from your true potential as an independent, self-sufficient human being. OR, and this is the category I fell into, you may feel a little sad, maybe even a little alone. This is probably not due to the fact you are actually alone, but more so that you miss your parents or whomever you left back home. Let me assure you, there is nothing wrong with this, and yes, you can still be an adult and be homesick. Hands down my favorite part of my experience here at PUC has been what I discovered when I felt most alone on this hill. You see, up here we have something I can’t fully explain to you, you simply have to experience it on your own. We call it “The PUC Family.” This family took me from Grainger Hall 209, crying on my first birthday away from home, to countless occasions of laughing until I cried. During my time here, the family has been through a lot of great times and a few very difficult times. We have laughed together, struggled through finals together, and mourned the loss of dear family members together. People often say we are kind of “stuck” up here on this hill, but let me tell you, being “stuck” has been one of the biggest blessings of my life. At PUC I have made family members who will last me a lifetime. I have met people who I can be real with, people I can cry with, people whom I love. So if you are nervous about leaving home, don’t worry, you’re coming to another one. 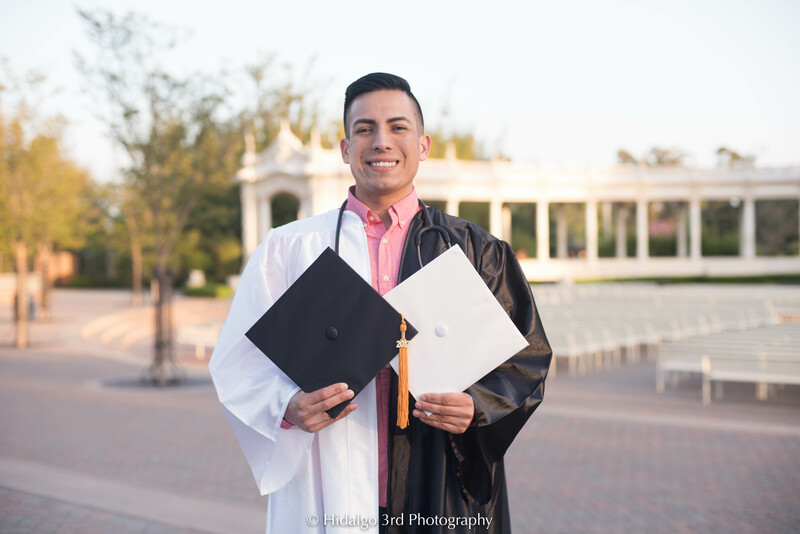 Juan will be graduating with degrees in psychology, Spanish, and nursing. There are times in your academic career, and in life in general, when you are going to be unsure. You are going to doubt yourself, you are going to stress, and you might want to switch your major from biology and pre-med to basket weaving with an emphasis in Ultimate Frisbee. That’s OK. You probably also will experience some form of failure. That’s OK too. I have found PUC has given me a good balance of success and “gut checks.” What I mean by that is, for all the good times I have had, there were less desirable times I also thank God for. I thank God because though things didn’t always go my way, though I didn’t always get the grade I wanted, and though I doubted myself and Him many times, I am stronger because of it. 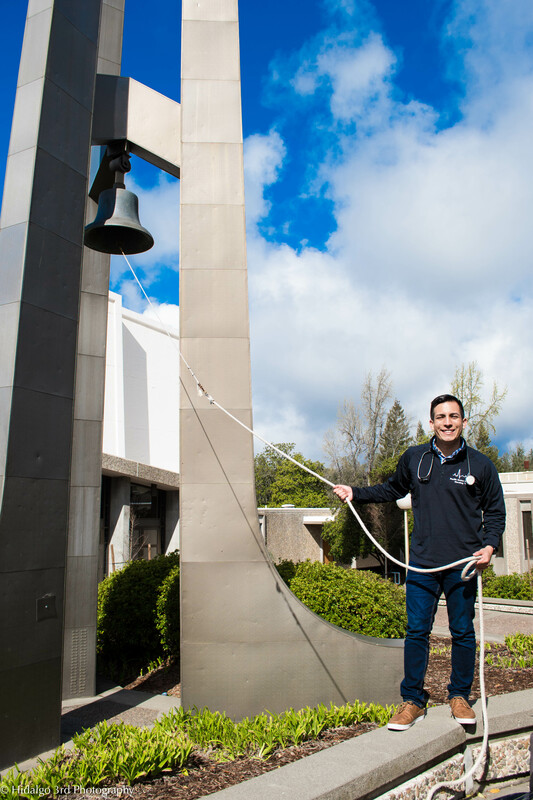 It’s tradition at PUC for seniors to ring the historic Healdsburg Bell when they’ve finished their last final. Congratulations Juan! It is amazing how a vision can start, grow, morph, and is almost unreal when it becomes a reality. After months of planning and preparing for the Pre-Medicine and Pre-Dentistry Health Fair, it finally took place in the PUC gymnasium on May 21, 2017. Initially, we started the event with the goal to consolidate the need for shadowing hours and networking opportunities of pre-professional students into one unifying event for everyone interested in health professions. However, at the end of the event it was clear God had another plan, which was to open our hearts and give the college the opportunity to soften the hearts of PUC’s students, as well as change the lives of the patients who came to be seen at the health fair. Our event sought to care for the person as a whole and our mission was reflected in our acts of service, from offering a brand new pair of glasses, educating on the importance of cholesterol management, sharing healthy food demonstrations, and gaining insight on what it means to lead a spiritually healthy life. 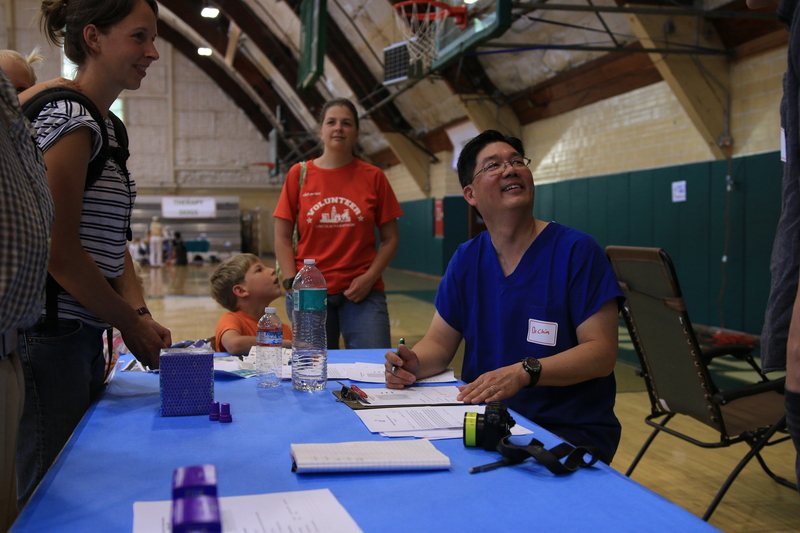 Basic medical, dental, and vision exams can cost over $50 at doctors’ office, so this turned out to be very beneficial for community members and students who were seen during the Health Fair. In the future, with more tools and resources, we hope to expand and provide a higher level of care and disease prevention to local communities such as Clearlake. Along with medical and dental providers, we can be equipped to deliver the highest care possible to those in need. 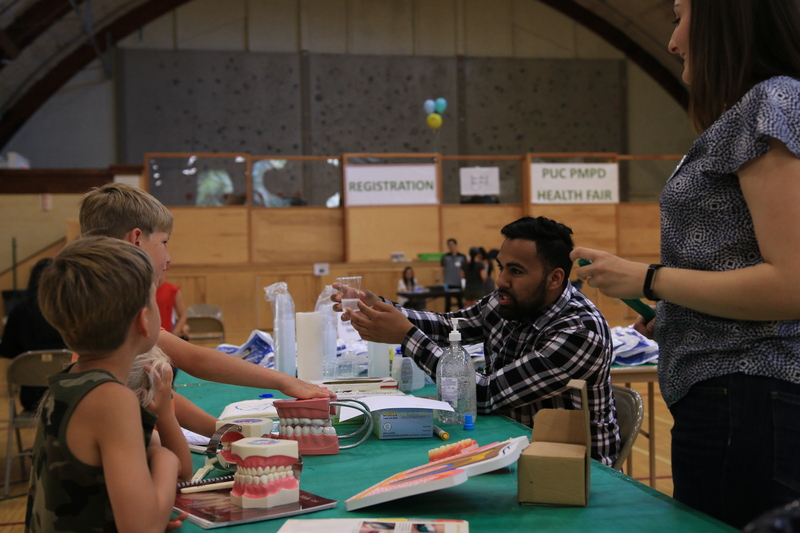 At the fair, both students and professionals spent their time instructing the patients about positive health behaviors, while providing preventive services. They also encouraged patients to receive medical and dental care from their community providers. 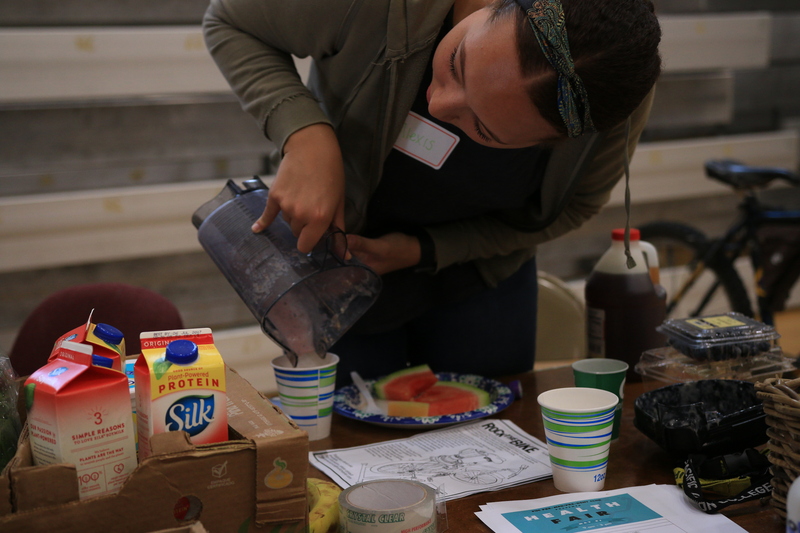 Yet, while the health fair helped increase access to preventive health services and screenings, little health impact can be achieved without follow-up care. To address this gap, I hope you will be interested in next year’s health fair for another chance to open our doors to serve the community God has placed us in to be His hands and feet. When a vision finally becomes a reality and is able to bless God’s people, He gets to be glorified. I was touched by the positive responses from the aftermath of the health fair and that He was indeed glorified in this event. I am confident He will make a way for more similar community outreach events like the PMPD Health Fair to occur annually. Special thanks goes out to all our volunteers and sponsors who helped this event take place. I would like to take the time to highlight some of the key contributors. Thank you to Fabio Maia and Holly Jeske for their constant encouragement, resourcefulness, and help with planning the details for the fair. 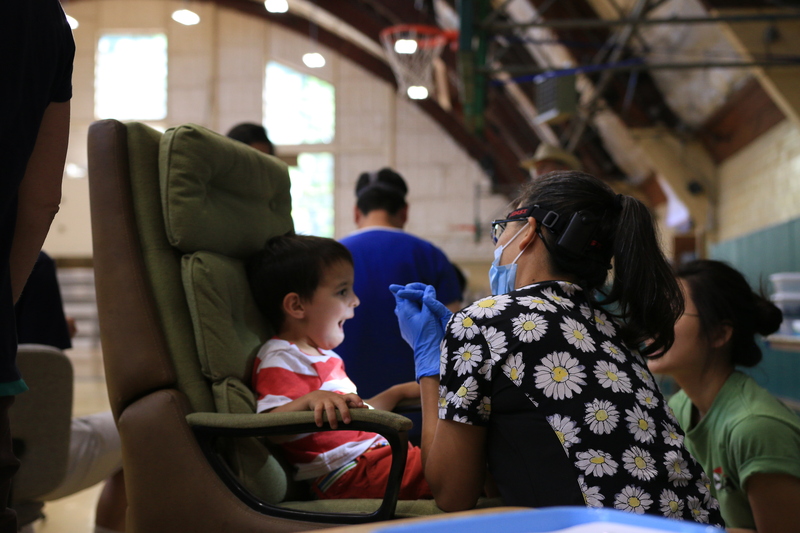 We partnered with the St. Helena Hospital, Northern California Conference of Seventh-day Adventists, Adventist Medical Evangelism Network, Cal Coast, Napa Solano Dental Society, Take 10, Paws for Healing, and Angwin Village Seventh-day Adventist Church. Also a special thanks to Dr. James Gearing, Dr. Isaac Chin, Dr. Wayne Ogata, Dr. Renee Tabiolo, Mr. Gilbert Lutes, and Mr. Jose Ponce for their time serving the community and for their donations of materials. Lastly, I would like to thank the professors who helped spread the word about the fair to their classes. This event could also not have occurred without the help of the team of dedicated student volunteers. They did everything from setting the up the fair to helping the professional volunteers, and being so ready to plug in and assist wherever they were needed. Taylor finds comfort in 1 Timothy 4:12, “Don’t let anyone look down on you because you are young, but set an example for the believers in speech, in conduct, in love, in faith and in purity” (NIV).